I just read this article and thought you might want to give it a read, too. It\'s called Top 10 iPhone apps to make travel easier and you can find it here https://www.orbitz.com/blog/2009/12/top-10-iphone-apps-to-make-travel-easier/. 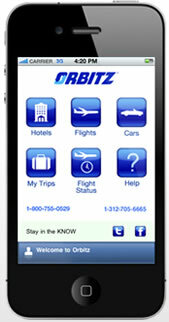 NEW in 2010: The Orbitz mobile app for iPhone! 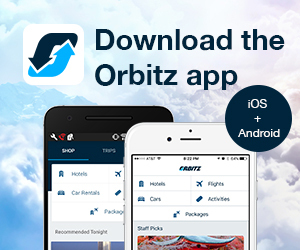 Download the free Orbitz app for iPhone now. 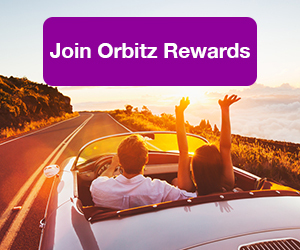 Get the free Orbitz iPhone app. When it comes to travel, nothing kills a trip faster than being in the dark about your plans. Fortunately, a number of apps have sprung up for the iPhone and other mobile devices that prove to help keep a happy traveler from becoming a wary one. While there are hundreds of great travel-related apps, I’ve picked ten that I love. With Google Mobile App, you literally have all the information in the world available at your fingertips. Its voice search makes speaking your search a seamless activity (and the voice recognition is usually spot-on). You can look-up facts, addresses, maps, restaurant recommendations and so much more. It’s a great companion to Wikipanion, Wikipedia’s mobile app. Not sure what you’ll find once you pass through airport security? GateGuru answers that question. You’ll never again have to run down a long corridor to find a good cup of coffee, a healthy bite or even a retail shop. This app could be your new favorite in-airport friend. It’s especially helpful for frequent travelers and anyone who has a layover, as it covers the top 85 U.S. airports (a lite version allows you access to two airports for free). Stay on top of all your flight details. This great app tracks your itineraries and alerts you to any changes in flight status, delays and more. You can view interactive flight maps and coordinate your travel information with TripIt: add your Orbitz itinerary through TripIt and it automatically syncs with your iPhone so you’ll always have your travel details with you. Never again be without Wi-Fi, no matter where you travel. With more than 200,000 free andpaid spots in 135 countries, your next connection could be around the corner. Best of all, you don’t have to be in a Wi-Fi zone to use the app; it connects to GPS via 3G or the Edge network. Sure this app might be a little pricey, but it gives you access to more than 50,000 Internet radio stations from around the world. You can search from 400 categories and subcategories, save favorite stations and even tweet to the radio station you’re listening to. Not sure the name of the song playing? Wunder Radio recently upgraded to include a “now playing” feature. Not sure how to ask for directions? Need to find a nearby bathroom? Want to know the name of the ingredient that’s making your meal so tasty? Mobile Translator can help delve into 37 languages and includes speech translation for English, Spanish, French and German. It can even translate your e-mail. Want to ensure you’re not getting scammed on the price for that hat you’re about to buy? With Currency, you have up-to-date global currency exchange-rate information for 90 currencies in 100 countries. So if you want to know how much your dollar is worth as a pound, yen, euro, baht or others, this app is a great tool for worldwide travelers. There’s absolutely nothing worse than being in an unfamiliar city (or even your own for that matter), having an immediate need for a bathroom and not having a clue where to turn. SitOrSquat is a gem of an app in that it tells you every bathroom nearby. There are more than65,000 bathrooms chronicled worldwide, and users are able to rate bathrooms, so you know which ones to avoid. View the closest as a list or see them on a map. If you’re worried about running up massive phone bills while you travel, just use Skype. Whether on a computer or through your iPhone, Skype lets you make free (or low cost) phone calls and send SMS messages anywhere in the world with another Skype-enabled friend or family member. Get travel and tourist information for more than 1,400 cities in over 260 countries. 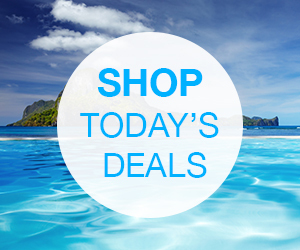 Look up customs, popular sites, food, hotels and more. I think this is an invaluable pocket source foranyone heading to a foreign city. Ditch that bulky travel guide and take this with you instead. Ari Bendersky, the co-creator of foodie the app, is a Chicago-based food, wine, music and lifestyle journalist whose work has appeared in the New York Times, RollingStone.com, the Associated Press, Hufﬁngton Post, Time Out Chicago, NBCChicago.com and the Chicago Tribune. He was also the editor in chief of UR Chicago magazine.